Apologetics Press offers books, tracts, tapes, and monthly journals on Christian evidences. Reason and Revelation is for adults; Discovery covers Bible and science for children. 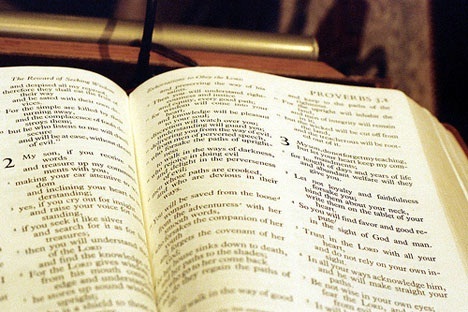 These free online Bible study lessons focus entirely on the teachings of Christ. Please study each lesson, looking up the Scriptures in your Bible. Each lesson includes questions with simple instructions showing how to submit your answers. To learn about our other home Bible study materials and resources, see our request form at the bottom of this page. A directory of Colleges, Universities, and schools of biblical and ministering studies. Thousands of titles on Christian evidences, Christian living, family, self-help, doctrine, issues, and inspirational thoughts. Sweet Publishing has produced and distributed the finest Christian educational resources for over a half-century--and this year our product line-up is the best yet! If you would like more info about any listing below, simply "click" on the bold heading and it will link to detailed product information. A TV broadcasting network for the Gospel under the guidance of the Southaven church of Christ in Southaven, Mississippi. Abilene Christian University, Abilene, TX, emphasizes high-quality academics in a distinctively Christian environment. Christian education at ACU is a total integration of faith and hands-on learning represented in every facet of campus life. Freed-Hardeman, University is a four-year, co-educational, regionally accredited institution offering undergraduate and graduate degrees while instilling Christian principles in a friendly, supportive environment. Heritage Christian University is an institution of higher learning which provides a biblically based education with a global view that promotes spiritual growth and prepares proficient communicators of the gospel. Harding University is a private Christian institution of higher education committed to the tradition of the liberal arts and sciences. The University serves a diverse, coeducational student body from across the United States and around the world, although the primary constituency for students and financial support is the fellowship of the churches of Christ. Church-related university offering bachelor and master degrees. Our mission statement is to create purposeful lives of leadership and service, and Oklahoma Christian University remains faithfully committed to that mission now and for the next 50 years and beyond. Amridge University is partnering with the U. S. Department of Education and 14 other higher educational institutions and consortia to develop models designed to help enhance access to federal student aid for distance education-based programs and test new models of financial aid delivery to students participating in distance learning programs. Combined, these outcomes will help ensure that the programs offered via distance learning are of high quality and maintain the integrity of the federal student financial aid programs. Click here for web access to a wide variety of bible versions, scripture and topical search information.